Yaw Dabo who is the Ghanaian version of our Aki and Pawpaw has been accused of impregnating an up and coming act. 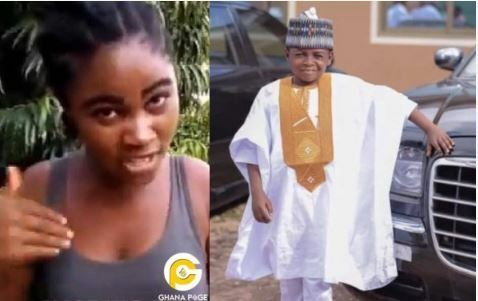 Kelvina, a budding young actress has promised to curse child-sized actor Samuel Dabo aka Yaw Dabo if he denies dating her. The young actress who revealed that she started dating the child-sized actor after Kojo Nkansah and some Ghanaian stars begged her to, also disclosed that Yaw Dabo’s alleged relationship with Vivian Okyere played a part in causing the break up of their relat, however, Vivian however denied being in a relationship with the actor.